The UFC 230 card in New York City has two more bouts for fight fans to sink their teeth into. 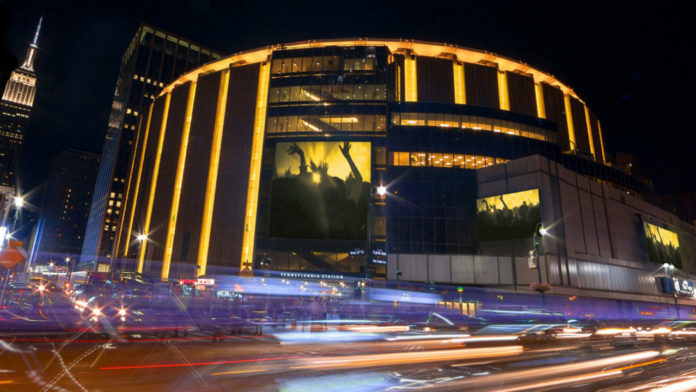 UFC 230 will take place inside Madison Square Garden on Nov. 3. The card doesn’t have a main event yet but a surefire barn burner between Dustin Poirier and Nate Diaz takes the co-headlining spot. Middleweights Jacare Souza and David Branch will also do battle at the event. Israel Adesanya and Derek Brunson will settle their feud inside the Octagon on that night as well. Newsday.com has got the goods on the two new fights. First, we have lightweight action between Lando Vannata and Matt Frevola. Vannata hasn’t exactly set the world on fire after almost upsetting Tony Ferguson in his UFC debut. “Groovy” scored a highlight reel spinning wheel kick knockout over John Makdessi, but he’s gone 0-2-1 since that fight. Another loss could lead to a release. As for Frevola, he’s coming off a first-round knockout loss at the hands of Marco Polo Reyes. It was a disappointing loss for Frevola as he had a perfect professional mixed martial arts record of 6-0 going into that bout. Frevola earned a spot on the UFC roster thanks to his performance on Dana White’s Tuesday Night Contender Series. Frevola submitted Jose Flores on the show. The other newly revealed bout on tap for UFC 230 is Brian Kelleher vs. Domingo Pilarte. Kelleher was in search of his third straight win against John Lineker, but it wasn’t meant to be. Lineker knocked out Kelleher in the third round of their UFC 224 bout. The good news for Kelleher is that it’s only the second loss in his last 11 fights. He’s still in a solid position within the UFC if he can get back on track. Pilarte will be making his UFC debut when he meets Kelleher. The “Son of Fire” is on a five-fight winning streak. Pilarte’s submission win over Vince Morales on the Contender Series earned him this opportunity. Stick with MMA News for the latest info on UFC 230. What do you think of the two newly revealed bouts for UFC 230?